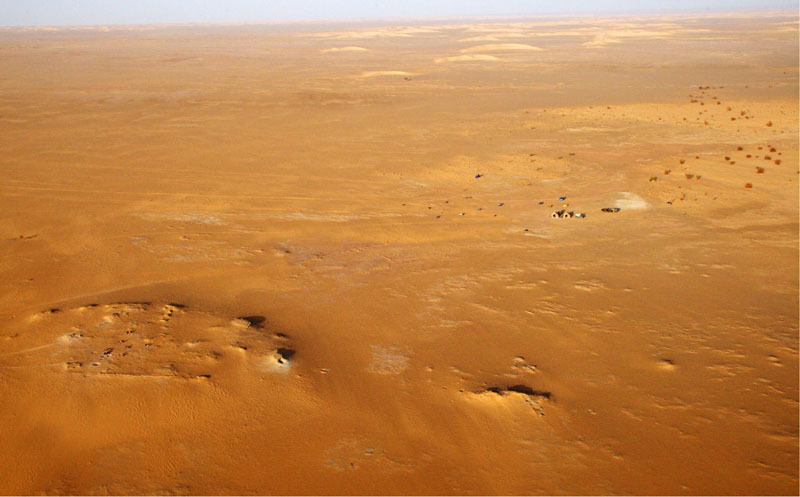 I n 2000 a major archaeological discovery made by a team led by paleontologist Paul Sereno opened a window onto the “Green Sahara,” a moment of time that spanned 10,000 to 5,000 years ago. 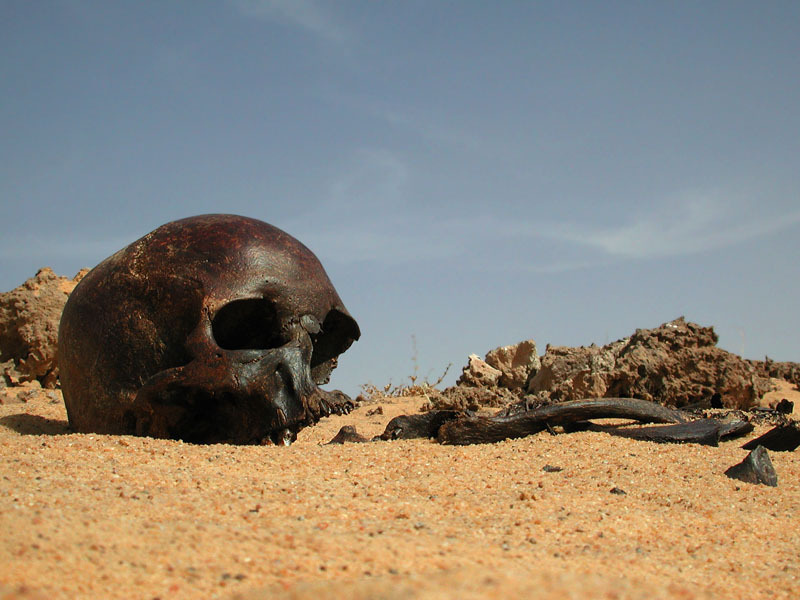 Called Gobero after the local Tuareg name for the area, the discovery revealed a suite of closely-spaced archaeological sites preserved in two kinds of settings—paleodune and paleolake deposits. These sites document a 5000-year-long drama of changing climate and changing cultures. During a dry period ancient dunes accumulated 16,000 to 9700 years ago. When the climate became considerably more humid, depressions between the dunes filled with fresh water and formed lakes. Humans rapidly colonized the “greened” desert; they found Gobero a particularly attractive locale for thousands of years. WHY WAS GOBERO SO GREEN? Geology holds part of the answer: a fault in the dinosaur-age sandstone in the Gobero area forms a long, low ridge. Rain water draining from the nearby Aïr Mountains pooled against the fault ridge to form a freshwater lake which stretched about 3 km (2 miles) in diameter. Dunes extended into the middle of the lake and provided prime beachfront real estate. 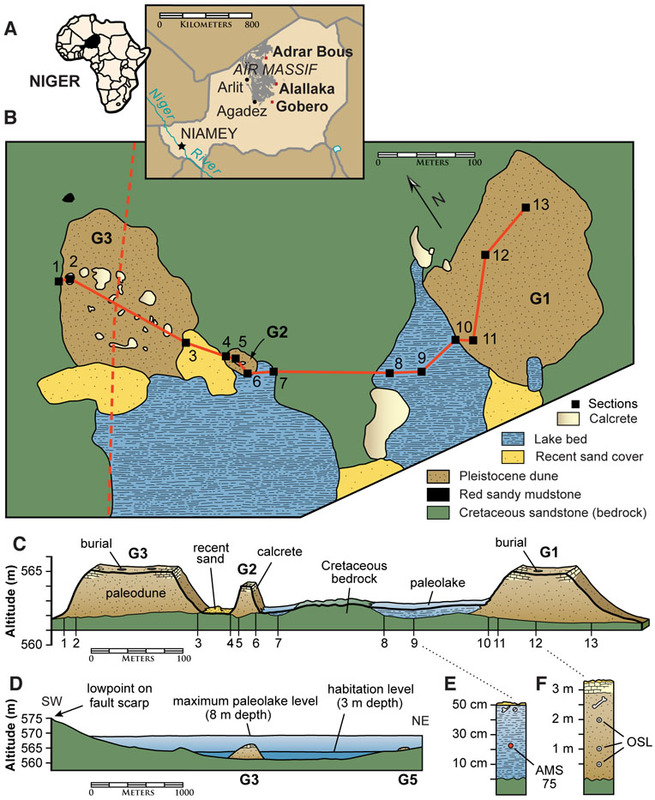 Kiffian people first settled in the Gobero area about 9700 years ago. 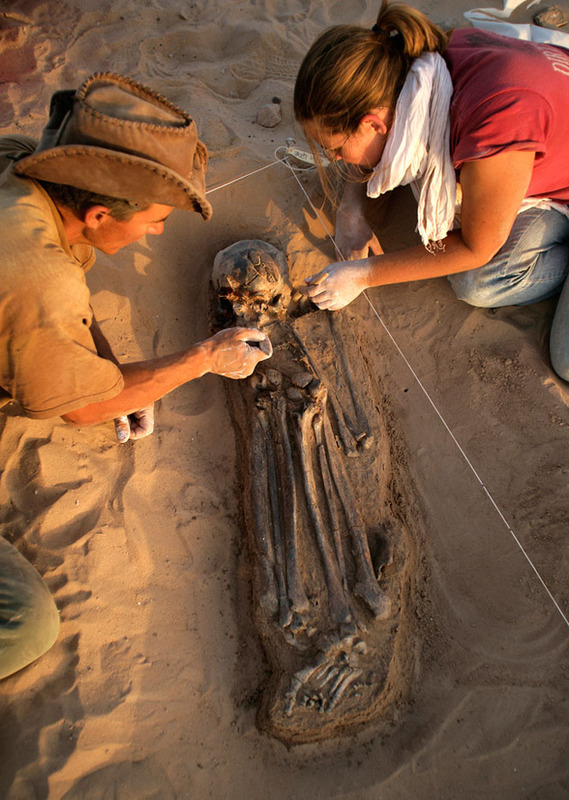 These people lived on the upper layer of a dune and established a cemetery there. Kiffian refuse piles (middens) and scores of their burials are preserved. The nearby lake could support a sizeable human population: it teemed with fish and crocodiles and served as a watering hole for a wide variety of animals. From their burials, we know that Kiffians were a tall, robust-boned people. 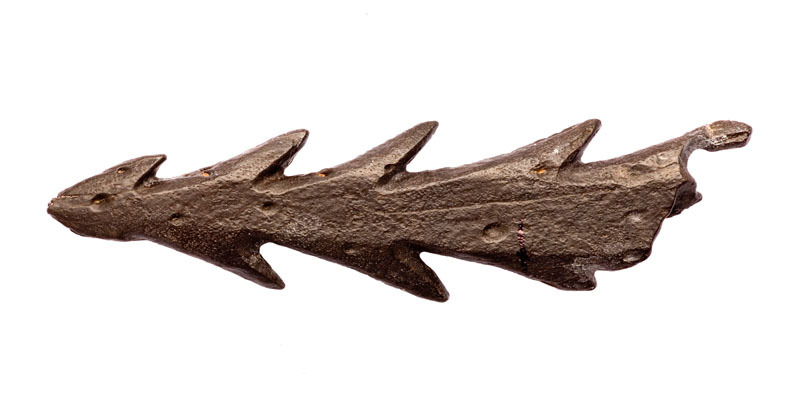 They hunted with spears tipped with tiny bladelets (called microliths) and fished with harpoons carved from bone. They decorated their pottery with characteristic parallel wavy lines. 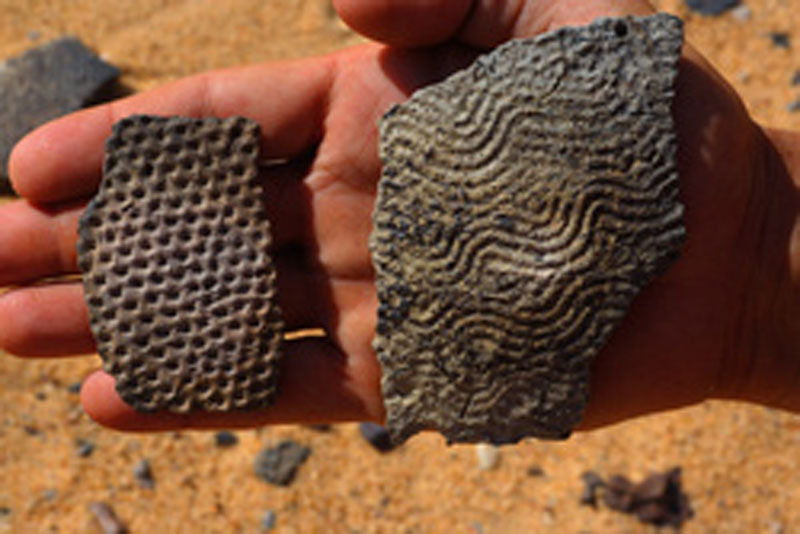 Starting around 8000 years ago, desert conditions returned. Extreme heat and drought drove people from the area and the lake dried up. Then, around 7000 years ago, the climate improved and the lake filled again. People returned to the area and once again lived on the dune and buried their dead in the cemetery. These Tenerean people were noticeably shorter in stature and lighter in build. Although their middens are filled with clams, small fish and antelope bones, rare cow bones indicate these people knew how to tend domesticated livestock. They hunted with bows and arrows, often adorned themselves with necklaces and bracelets of eggshell and ivory, and stamped their pottery with pitted or zigzag patterns. 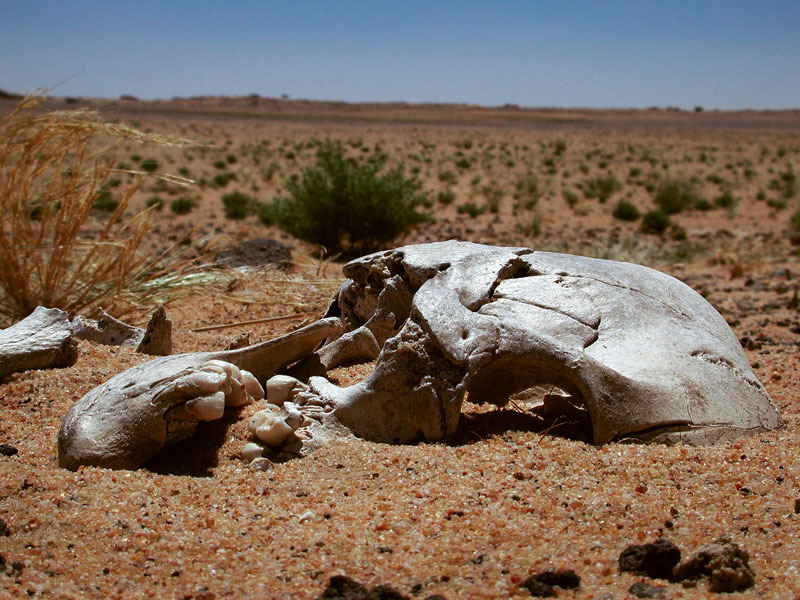 By about 4500 years ago, the climate began its slow deterioration to present day arid conditions. Humans no longer lived permanently at Gobero but rather migrated through the area with livestock, sometimes leaving a hearth or discarding their undecorated pottery. 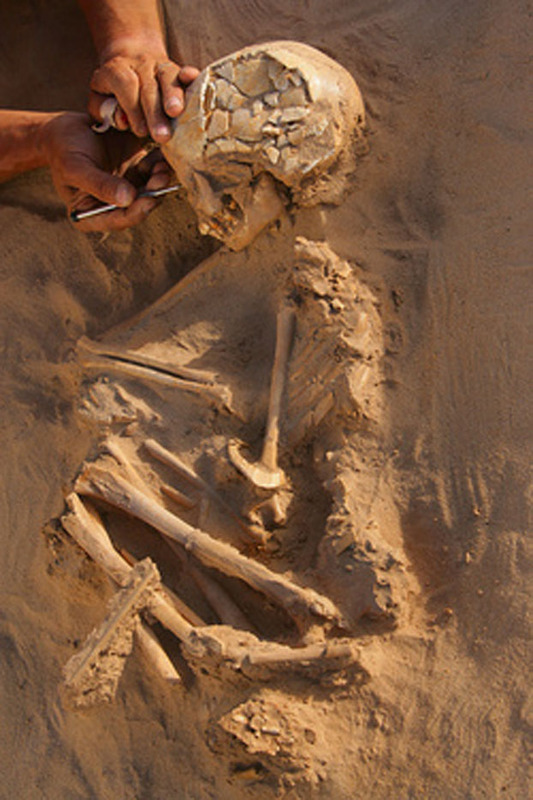 The archaeological record at Gobero came to a close; the era of the “green” Sahara and its distinct cultures, preserved only in ancient dunes and dried lake bottoms.